Bar Douro is a rustic restaurant that is inspired by the traditional cerveijarias and tascas of Lisbon and Porto. The menu focuses on small-plates that are created using the finest produce available and Portuguese culinary secrets. Dishes may include Bisaro pork ribs with ruby port glaze; Cataplana fish stew; and Pastel de nata (custard tarts) with cinnamon ice cream. Bar Douro offers a carefully selected wine list that highlights native grapes and explores key growing regions. 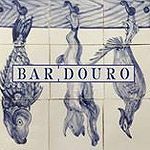 Do you work at Bar Douro? 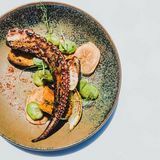 What did you think of Bar Douro?